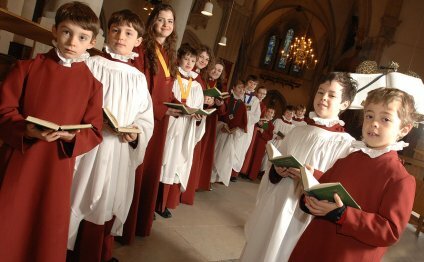 The Ensemble Choir Robe is a new direction in versatility for gospel choural gowns. This new approach allows you to provide multiple new 'looks' for your choir at little additional cost. The detachable, reversible panels offerred with the Ensemble allow complete freedom in changing the appearance of your choir whenever you wish. Changeability is the key to these versitile gowns. Our Ensemble comes standard with one panel of your choice. You can add as many of our standard panels as you need to provide your choir with a new, fresh appearance without the expense of completely new robes. In addition, ask us about the possibility of a custom design just for your choir.